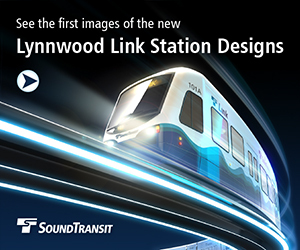 Sound Transit will be holding meetings in Mountlake Terrace and Lynnwood about the Lynnwood Link light rail. If you missed the Shoreline meeting, ST says there will be Shoreline information at these meetings as well. Mountlake Terrace on Thursday, April 18, 2019 from 6 – 8pm at Nile Shrine Golf Center Ballroom (presentation at 6:15pm) Entrance from westbound NE 205th / SR 104. Thank you to those who came to our meeting in Shoreline on Feb. 26. If you missed us in Shoreline or won't be able to make the events in your neighborhood, no problem! Information about upcoming construction activities and what you can expect can be found online.